That’s the call we got from my sister on Friday night before she impulsively decided to come home for the weekend so she could go get soft pretzels with the hubby. 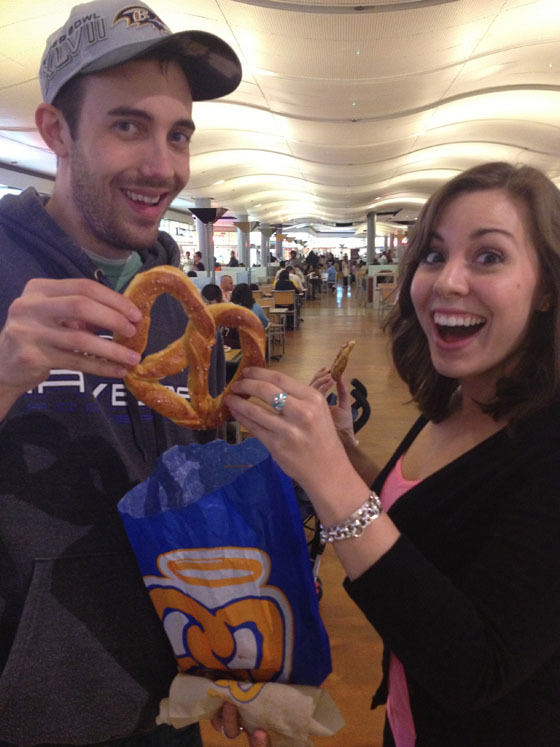 Turns out Friday was National Pretzel Day and Emily and Brian LOVE pretzels. Their love of pretzels couldn’t be denied, so Em came home (2 + hour drive), pulled into our driveway, and hopped into our car. We drove to the mall, which is thankfully super close by, with only 3o minutes until closing so this dynamic pretzel-loving duo could get them some Auntie Anne’s. Now that is dedication to National Pretzel Day. By the way, the got five pretzels. Yes, five. My weekend was off to an amazing start, obviously. 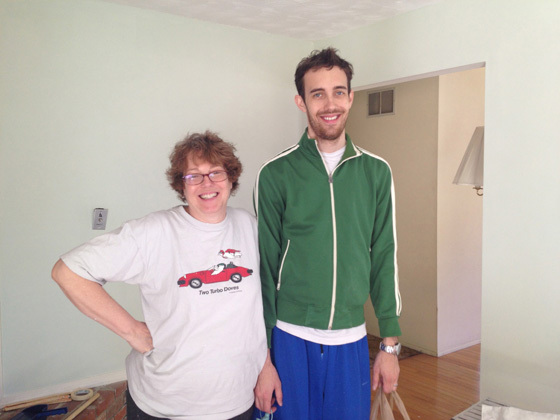 On Saturday we got busy helping my MIL paint her living room. 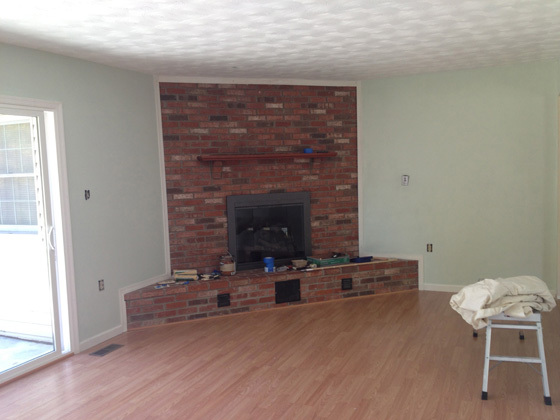 She’s been working so hard to redo this room and the transformation is almost complete! 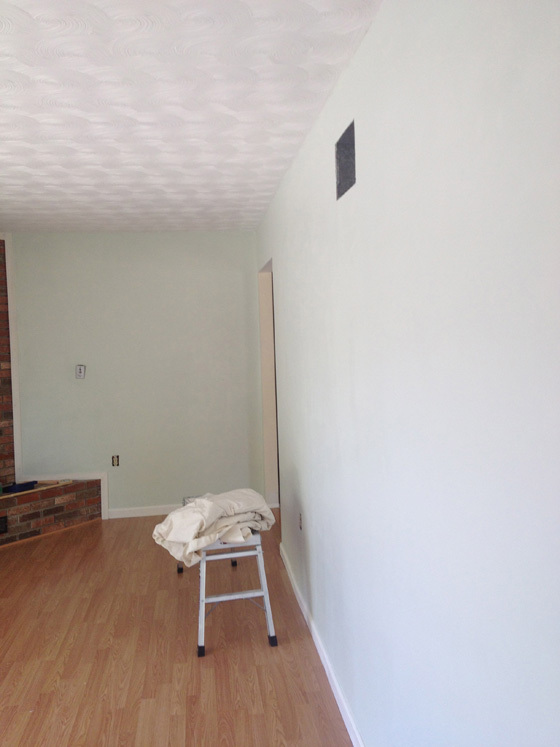 She chose “Sage Tint” for her walls, and they look beautiful. They especially pop off the bright white ceiling we painted a month ago. All that is left is to paint the trim, then she can move her furniture back into her beautiful room. Now don’t hate me Robin, but I had to share this picture of you and Brian. You both look adorable and so happy, even though we were all covered in paint. Although… maybe I was just covered in paint. You both look remarkably clean! Once the room was painted, we scurried home so I could clean up and run out the door again. This time, to my little brother’s final elementary school concert. Elliott plays the violin and has done so since he was 4 years old. I can’t believe how talented he is. 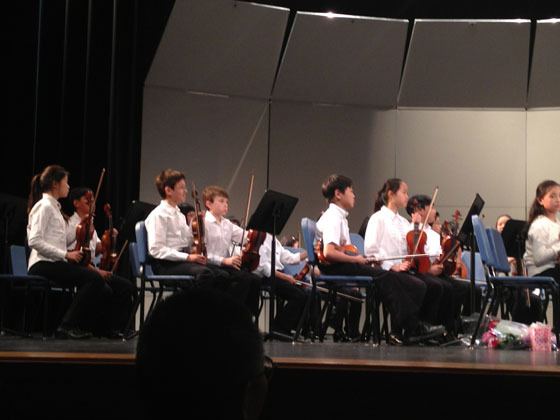 I was super impressed by the entire strings ensemble (not sure if that is what they are actually called…). We celebrated afterward by having a delicious dinner at the Melting Pot! Hope you all had a fantastic weekend.